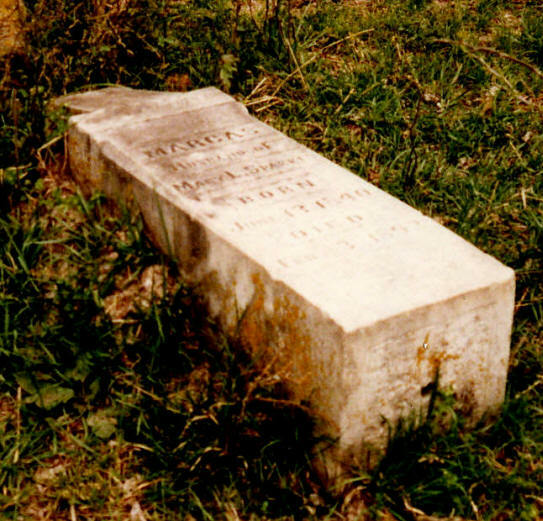 THIS CEMETERY IS BETWEEN BLUE RIDGE AND FARMERSVILLE IN THE OLD WATER RIDGE COMMUNITY. The driveway is ¼ mile past the intersection with CR 833. The road in the pasture is very rough and will require a high clearance vehicle. It will be next to impassable when the ground is wet. There is another fence line/tree line beyond the one at the cemetery. This is private property. The pasture had cows and horses in it at the time of my visit. The lessee would prefer that visitors obtain permission before visiting the cemetery. This is the old Water Ridge Community. People who have lived in the area all of their lives have never heard that name applied to the area. COLLIN COUNTY CEMETERY INSCRIPTIONS II says the land was given by Snyder J. and Lucinda Hawkins and that at one time there were 17 graves. Snyder Hawkins owned a lot of land in this area. In Vol 3783, p 111 - 134 there is an extensive deed for the division of this property. No mention is made of the cemetery. The cemetery is about 25 feet square and has a couple of old cedar trees. It is on the verge of extinction. There is no fence around it and the cows have destroyed most of the markers. Some of the bases remain. At the time of my visit the only stones remaining were a 3-foot obelisk for the Hurst children and the tablet for William Pinkey Hawkins, who was a Confederate soldier. The rest of the stones have been shattered by the cows. Snyder and Lucinda Hawkins are supposed to be buried here. 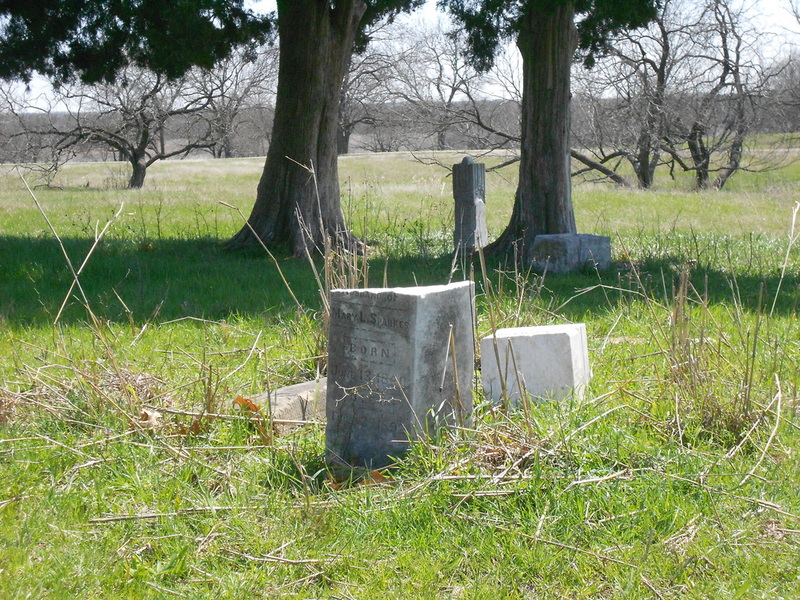 Source: Collin County (Texas) Cemetery Inscriptions, Vol. II, p. 109. According to Ancestry.com, Snyder’s name was Sliter and he was called Slider. An April 2013 visit showed that the cemetery is the same as it was 18 years ago. Since visiting the cemetery in 1995, the road across the pasture has been improved with gravel, making the cemetery accessible. The cemetery is on private property. Marcas Sparkes was married to Snyder and Lucinda’s daughter Mary. His stone is still at the cemetery, but the top is broken off. Both pieces are still there. The bottom half is still standing. Daughter Louise Hawkins married a man named Billington. The Billingsley baby could be theirs. The stone is no longer at the cemetery. The Hurst stone is upright. Someone cemented the top to the base. The marble Veteran’s marker for William Pinkey Hawkins is down and partially buried, but still seems to be intact. The family ordered a Veteran’s marker for him in 1923.